What did I do yesterday? When did I leave for lunch? How long did It take me to finish my last ticket? Maybe you have one of those jobs where time tracking is a necessity, and if so, you can probably relate to the questions above. But, time tracking is, oddly enough, time consuming. Even the best systems require you to minutely write down the start and end of every step of every project. This is not only inefficient, it is also hugely error prone. In short, the whole process has the potential to be automated. 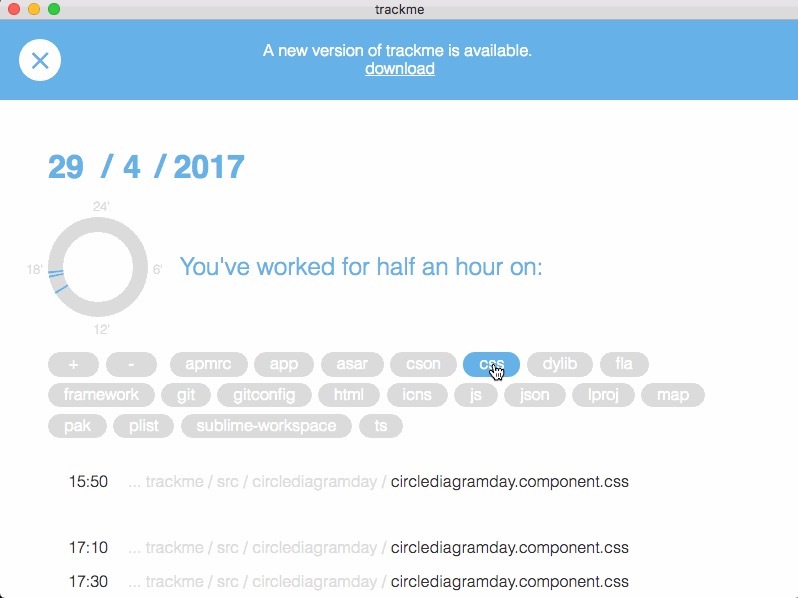 trackme (working title) is my attempt to optimize this problem, but this tool is not a time tracker, it is a file modification monitor. The app keeps track of all your recently modified files, sorts and filters them and then displays a coherent list of start and end times for every session on your pc. All of your data is then saved into a local database.